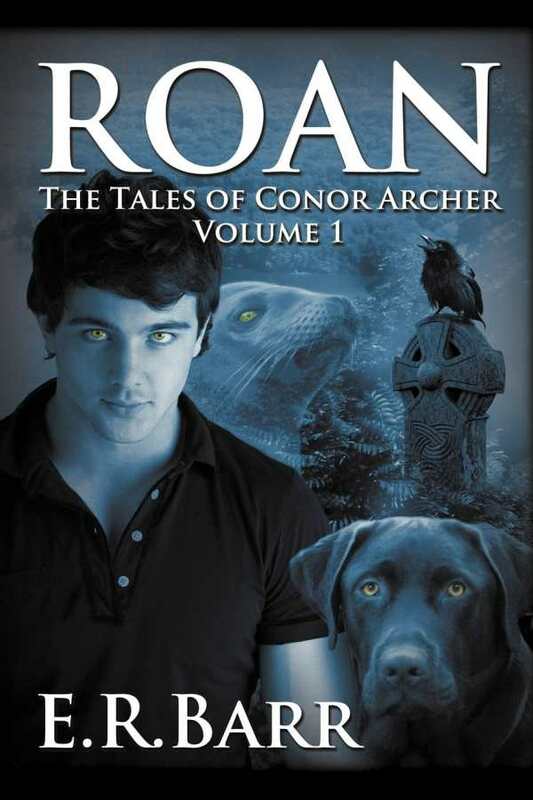 Roan: The Tales of Conor Archer: Volume 1, by E. R. Barr, skillfully interweaves Celtic mythology, shape-shifters, and coming-of-age to create a promising start to an intriguingly magical fantasy series. Barr adroitly combines ancient legends and and the twenty-first century as Conor Archer, a seventeen-year-old fatherless Irish American, returns to Tinker’s Grove, Wisconsin, to honor his dying mother’s wishes. Barr excels at world-building. While he cites a few sources at the end of the book, it is clear that he has used existing Native American and Celtic lore to create a rich mythic heritage all his own. This ability to write cryptic, intriguing verses makes the magical parts of the story more believable. There exists just the right amount of realism when the legendary comes in contact with reality so that a sense of disbelief remains properly suspended. Barr also shines at characterization, making Conor and those around him well-rounded and easy to empathize with. One can feel Conor’s full range of emotions—denial, anger, and finally acceptance as he realizes who he is and what this means for the rest of his life. These feelings progress at a realistic pace so that even as he is caught up in the supernatural around him, Conor continually comes across as a likable teenage boy. The metaphor “a sculptor with the patience of time,” coupled with the repetition of the word remember in the above passage showcases Barr’s skillful use of poetic language. The use of lyrical refrains combined with the author’s own Celtic-inspired verses throughout the book gives the story a larger-than-life, legendary quality similar to Homeric epics. This beautiful stylistic choice lends a certain gravitas and suspense to the story. Although it clocks in at nearly six hundred pages, the novel doesn’t feel long because it’s divided up into short chapters with action-packed endings. There are enough unique twists and turns so that one is constantly surprised. This book is strongly recommended for lovers of Tolkien, Pratchett, and George R. R. Martin.